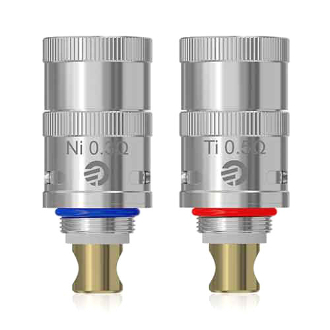 The Delta II LVC Coils are made specifically to be used with the Joytech Delta II Atomizer. These coils have a 0.5ohm resistance and will produce clouds of tasty vapor. The LVC stands for Liquid Valve Control. This is a wonderful feature that allows you to control the amount of liquid that gets fed to the atomizer. To take advantage of this feature, simply turn the ring on the base of the coil head to adjust.